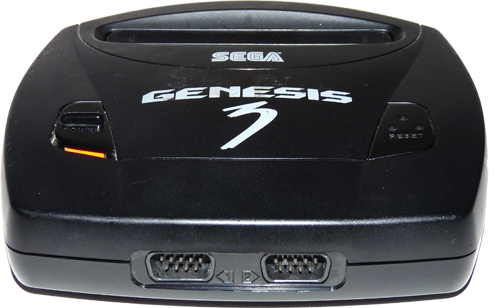 This page will show you the various ways to get your SEGA Genesis 3 up and running! This is the power supply port for the SEGA MK-1479 AC unit. 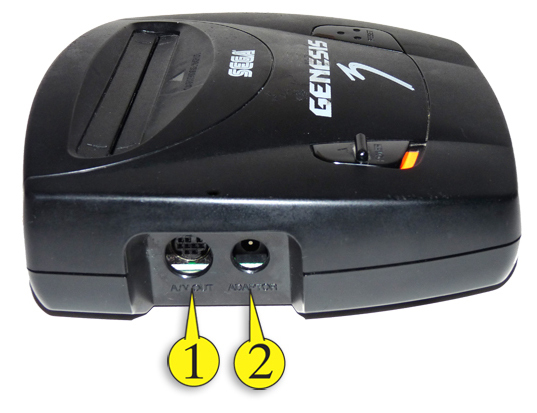 The SEGA Genesis (Model 3) has two different ways to connect to your television. COMPOSITE RCA: this provides the best picture quality available from the Master System and is what GameTrog recommends. This is the method that most of you will remember. It was the staple method of hooking game systems up to a TV starting with PONG and still used for the XBOX and Playstation 2. It is by far the worst way to go for picture quality. The reason being is that all the video and audio signals are compressed into one coaxial cable and jammed in to the TV, letting the television split it apart on its end. This causes a fuzzy picture, often accompanied by rolling lines! But if you only have a Coaxial input on your TV, what else can you do? 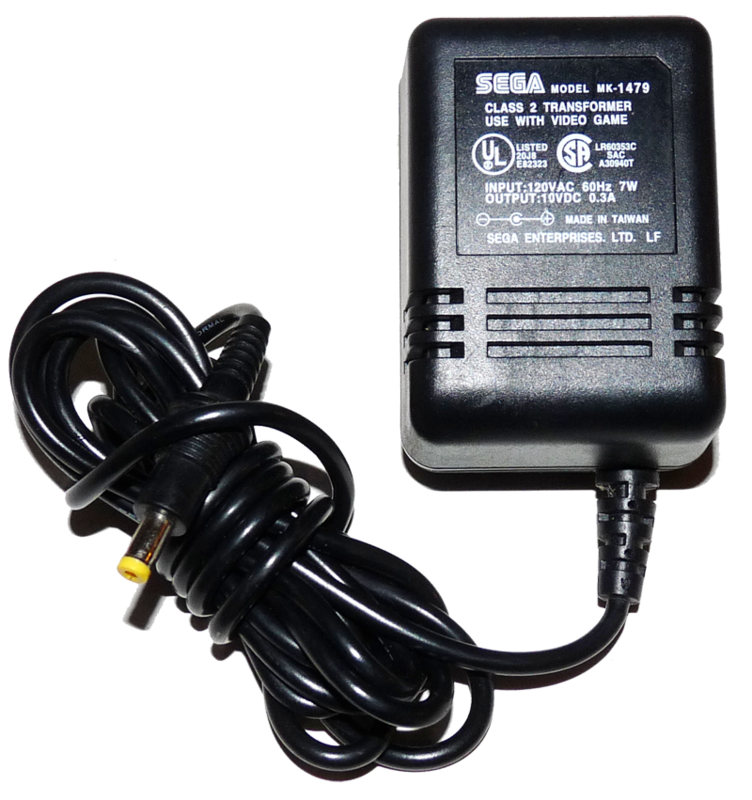 Plug the SEGA MK-1479 Power Supply into the back of the SEGA Genesis. Plug the SEGA MK-1479 Power Supply into the wall. 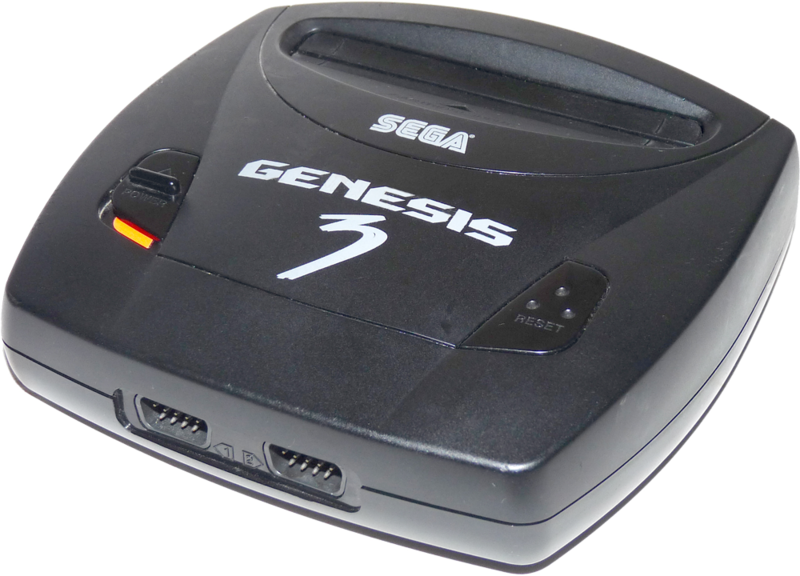 Plug in a game and turn on the SEGA Genesis, even if you don’t see it on the TV yet. On the SEGA Genesis 3 there is no LED light for power, just orange paint (lame) so there’s no way to tell if the power is working, but when you’re searching for the right channel or input and you see the game, you got it right! Turn the TV to the channel you picked on the back of the game system. 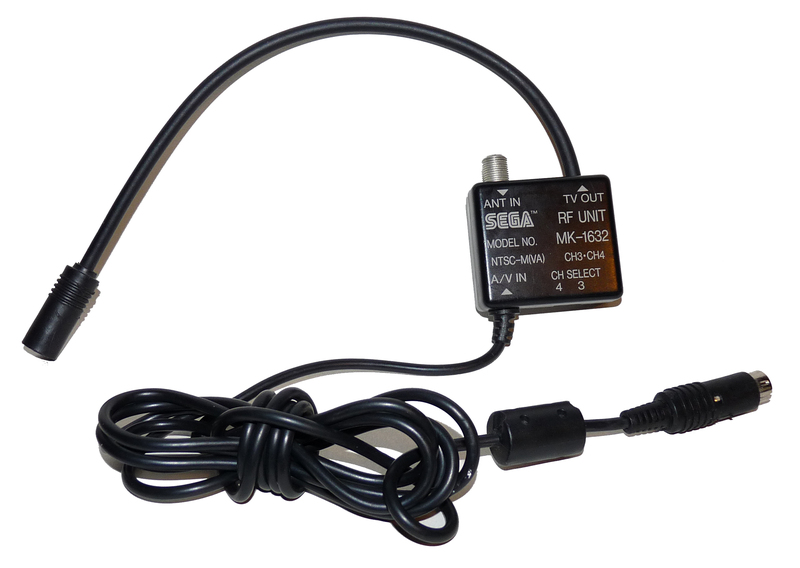 If you have a newer model TV, you probably have several INPUTS SOURCES available from COMPONENT, VIDEO 1 2 & 3 and so on. If this is the case you will most likely need to change it to AIR, which you may also have more than one option (AIR 1 or 2 or A and B, as shown on the above diagram). To change to these different video signal options, you usually have an INPUT or SOURCE button on your remote or television. If everything went right (and your game works…) you should be in business! See how far you can get in Sonic 2! This method will give you the best picture quality you can get from the SEGA Genesis. It is the method you should use whenever possible as the improved image quality over the RF connection, is very noticeable. Plug the SEGA Genesis Model 2-3 RCA AV cable into your SEGA Genesis. Plug the SEGA MK-1479 Power Supply into the SEGA Genesis. Become Shinobi and save the girl!